Secret Revealed! Why External Plaster is Done in Two Coats? Plaster is one of the most ancient building crafts. Historical evidence shows that primitive man used mud for plastering over a framework of sticks and reeds that served as protective structure against the elements of nature. Plaster provides a smooth, regular, clean and durable finished surface with improved appearance. Plaster also protects the surface of the wall from atmospheric influences such as dust, rain, etc. Plasters have the ability to increase the strength of wall and life of the structure. Plaster can also stop the penetration of water from one side to another side. Nowadays there are various types of plaster which are used depending on requirements. For innovative use and applications of plaster, lime, gypsum either clay are used. These materials are a binary that can be added to create pigments and overall different types and wall finish styles. There are different types of plaster available based on ingredients, finishes, uses, coat and their popularity. Plaster defects are mainly caused by contaminant particles in the mix which, reacting with the moisture in the mix, expand and causes cavities in plaster. They are also due to poor workmanship, improper mixing, inadequate curing, thick layer, defective materials, and penetration of salt etc. Cracking, Blistering, Crazing, Flanking, Efflorescence, Popping, Peeling, Rust stains, and uneven surface etc. are the types of cracking in plaster. Most of the internal plaster is done in one coat. Where the thickness of the internal plaster is 6 mm to 12 mm. External plaster is done in two coats. Where thickness of External plaster is 18 mm to 20 mm. The first coat will cover all irregularity of line, level, surface unevenness etc. Hence with 2nd coat all the surface will be truly levelled and in true line, which will give a pleasant look. This might not be possible with single coat particularly when the surfaces to be plastered are uneven and not in line. This only make the building look in order and pleasant. Exposed to outdoor environment to moisture, heat, humidity, rain, etc. easily affects the surface. Therefore, on outer surface of building two or multiple coats of plaster is applied. Two coats of External plaster get good flexural and tensile strength. Water and fungus are easily affected on surfaces so; to protect the surface and home; plaster is done in two coats. As it will prevent entry of moisture in a better way. As the External plaster is done in two coats, thickness of surface is also more. Which does not easily catch fire and prevent your home and your family member from the influence of fire. If the External plaster is done in two coats, it helps in insulation to some extent and controls the sound coming from outside to inside. Crack easily Develop on smooth finished single coat of plaster. But if External surface is done with two coat of plaster then chances of development of cracks are less on the surface where it is applied. On External surface, to make rough plaster sponge is used to make surface rough, this works as a micro-micro type artificial crack. Hence less chances of shrinkage cracks unlike smooth finished single coat plaster. Generally, in 2nd coat we use rich cement mortar. So it becomes more prone to moisture. So it may act as a waterproof layer. In smooth finish plaster chances of micro crack is more. But on External surface, applying two coat of plaster decreases the chances of shrinkage crack. 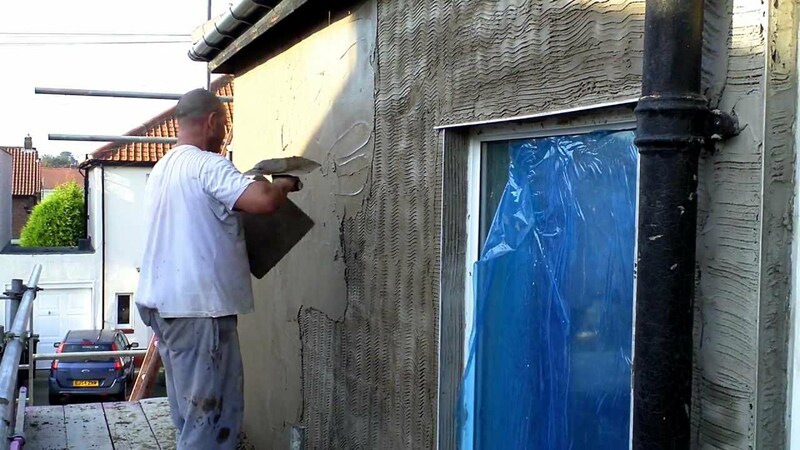 Due to the above benefits, the external plaster is done in two coats. Varieties of Designer Wall Clock for your Home Decor! Previous PostPrevious Period of Storing of Cement from Date of Manufacture! Next PostNext Guide to a Stylish Dining Room & its Furniture in a House!